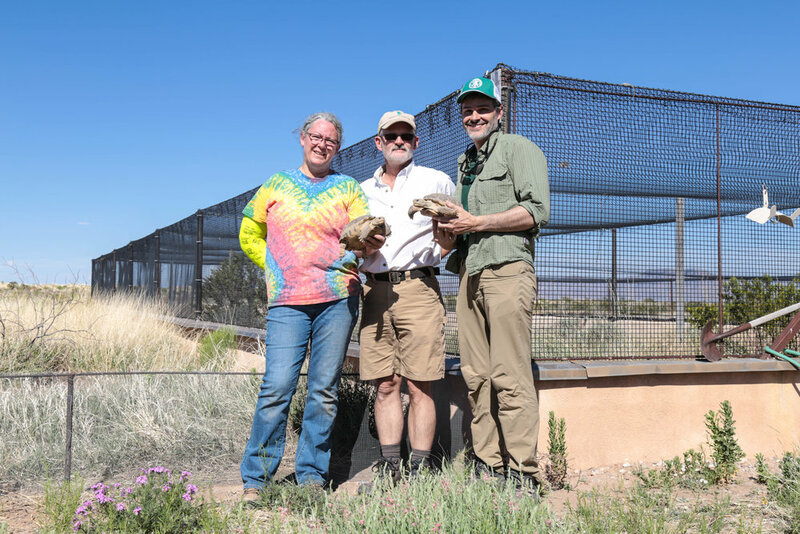 Dr. Paul Gibbons of the Turtle Conservancy joined our conservation partners at Turner Endangered Species Fund (TESF) on the Ladder Ranch in New Mexico to help complete the construction of the soft release pen and perform the first release of captive-born Bolson Tortoises in the United States. 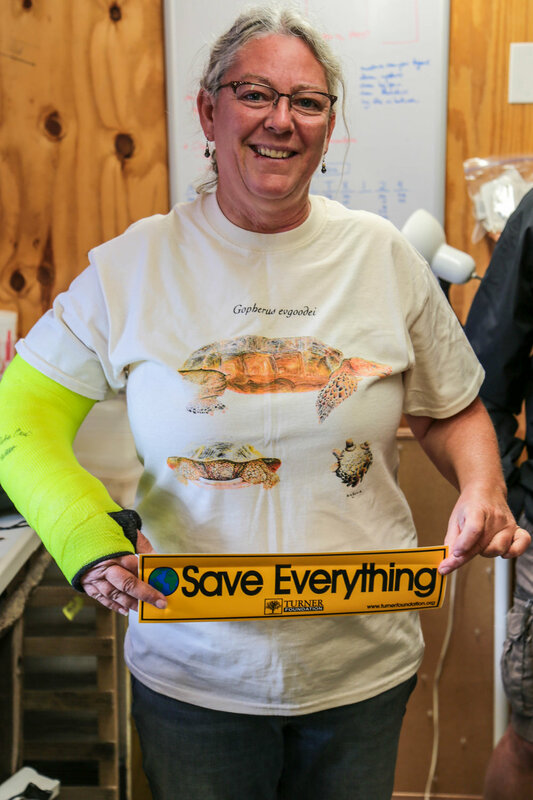 “Twelve thousand years in the making, with most of the work in the last 8 years,” announced TESF lead tortoise biologist, Dr. Chris Weise as she placed a radiotagged, captive-born tortoise gently into its soft-release pen. These tortoises are the first to walk in this area since they disappeared somewhere between 10 and 15 thousand years ago. The Bolson Tortoise was extirpated north of the Rio Grande by human-influenced habitat fragmentation, degradation, and loss, as well as human predation. 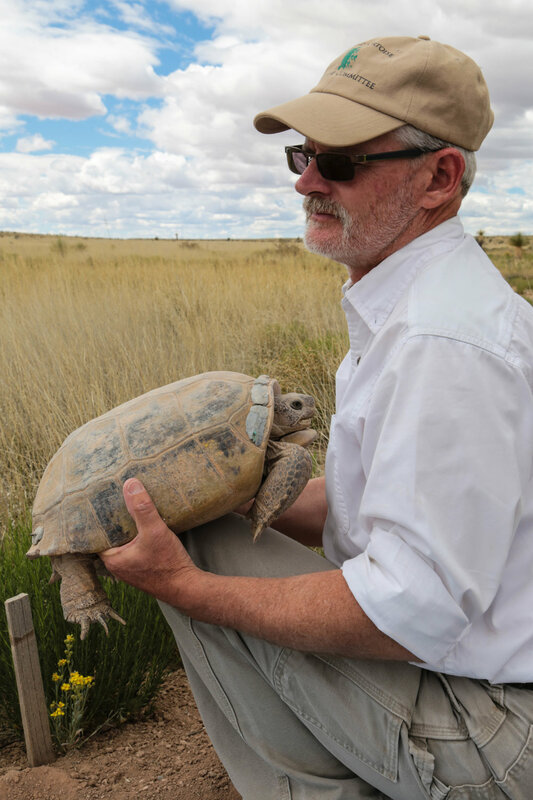 The Conservancy and TESF are collaborating on a trans-national effort to protect this tortoise from extinction, which will include reintroducing the species in key locations of its former range in the United States. The TESF has established a robust assurance colony at the Armendaris Ranch in New Mexico, including many hundreds of offspring raised under semi-wild conditions. 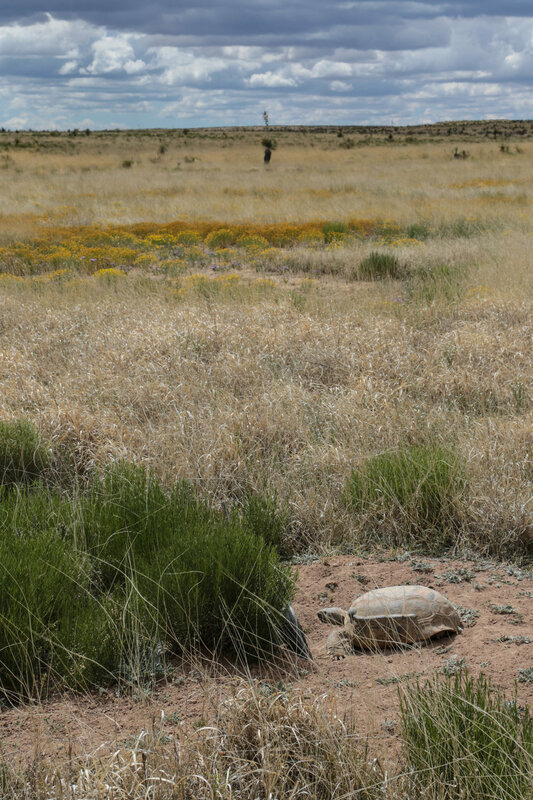 The time has come to surmount the legal hurdles and establish independent, free-living, self-sustaining Bolson Tortoise populations throughout the Chihuahuan Desert from Arizona through New Mexico and into south Texas, where they belong. Following this historic event, Dr. Gibbons carried back to Ojai the first legal Bolson Tortoises to enter California in nearly half a century. “These captive-born tortoises are the foundation upon which the Turtle Conservancy will build an additional assurance colony to provide a last line of defense against extinction for this amazing American creature,” said Dr. Gibbons. In addition to the Turner Ranches, the network of Bolson Tortoise assurance colonies includes the El Paso Zoo in Texas and The Living Desert Zoo and Gardens in Carlsbad, New Mexico.